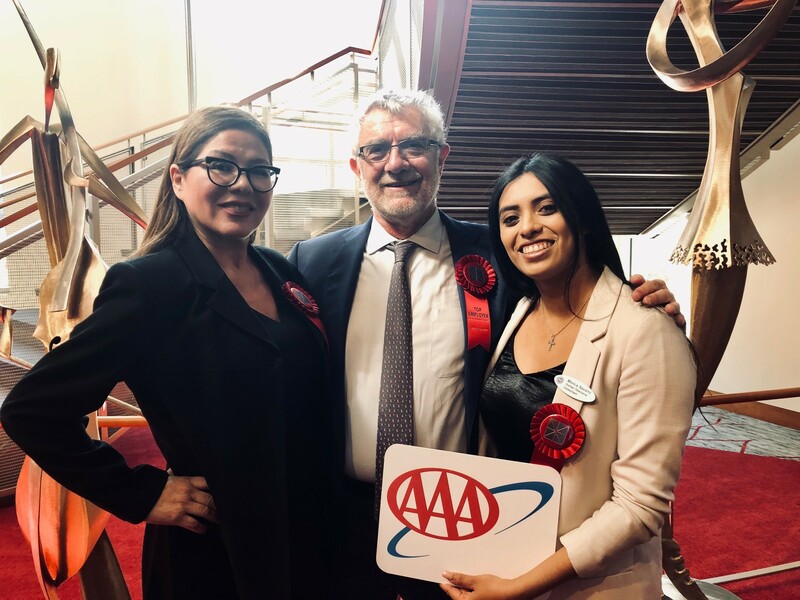 AAA has been selected as one of 35 Top Employers of Chapman University talent. This selection is based on the number of students and alumni that have worked for AAA over the years. Not only has AAA been elevated as a tremendous partner with Chapman in the last year through Galen Grillo’s leadership in the Industry Partners Council, but AAA has historically been a ‘Think Chapman First’ champion as the organization has welcomed a record number of Chapman educated teammates to their family. AAA Texas received the Large Business of the Year Award from the Coppell Chamber of Commerce, as well as recognition by State Representative Julie Johnson for the achievement. 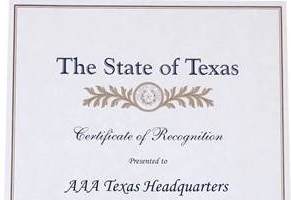 The AAA Texas regional headquarters is the first Coppell business to receive this honor, which was presented February 2nd at the Coppell Chamber of Commerce annual gala and membership awards banquet. On Wednesday, February 8, Auto Club-sponsored NHRA Funny Car driver, Robert Hight, and the Automobile Club of Southern California unveiled a special paint scheme to honor the Club’s relationship with the California Highway Patrol and bring awareness to California’s Move Over law. 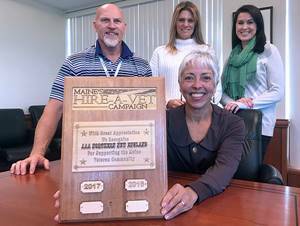 AAA Northern New England distinguished itself for the second year in a row with its efforts to hire veterans. 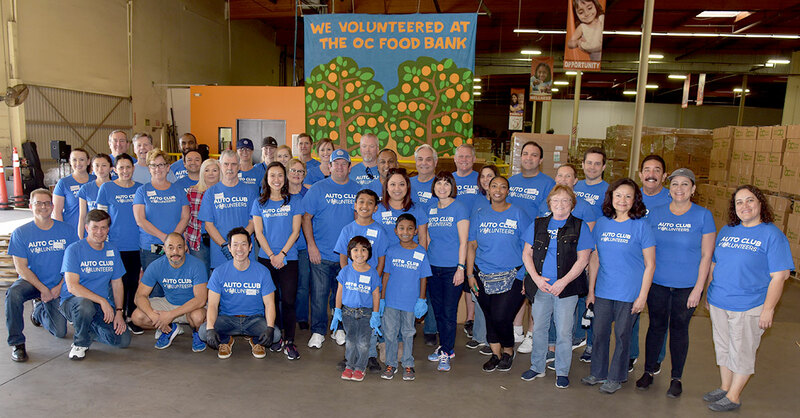 From popcorn and lemonade to old-fashioned ice cream, employees are coming up with several tasty ways to raise funds for our United Way campaigns. ​AAA Northern New England, hosted an event that featured a local ice cream shop, Beals. 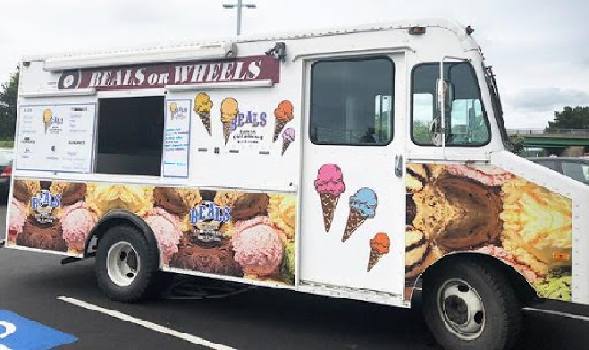 “Their truck is called 'Beals on Wheels,' and we've had them come the last day of summer for the past couple of years," said Linda Whitten, Manager of Human Resources, AAA Northern New England. "They're a big hit!" 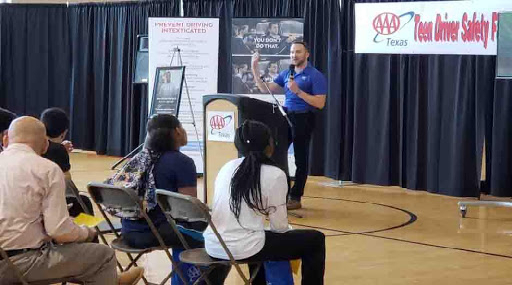 AAA Texas joined forces with the City of Irving to host a Teen Driver Safety Fair. The event was held October 20, 2018, and attracted 200 teens and parents, as well as community partners, traffic safety organizations, and local first responders.